Sir Arthur Sullivan (b. 1842) is probably best known for his wildly successful comic opera collaborations with Wm. S. Gilbert in the late 1800s. Sullivan wrote music which was nuanced and extraordinarily memorable. 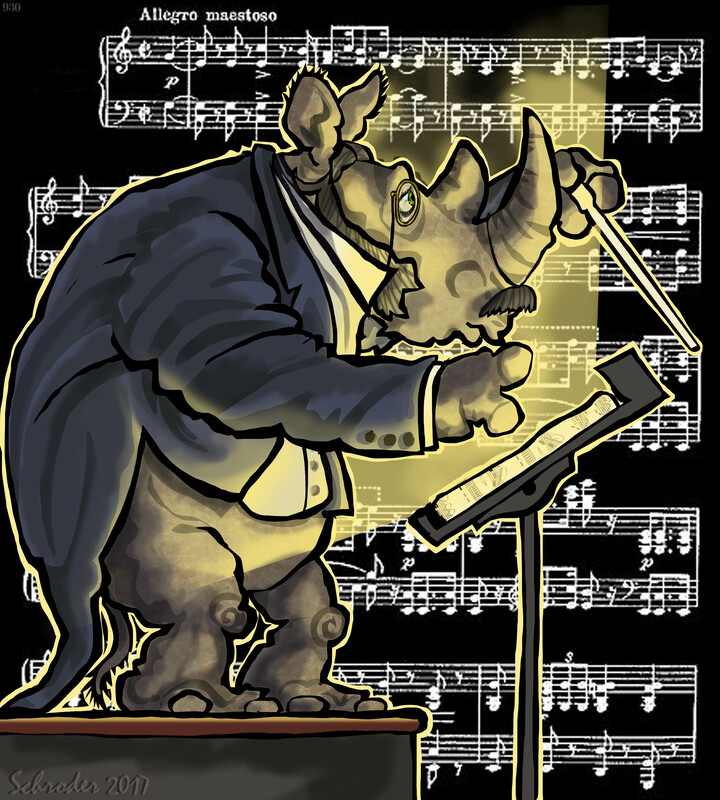 Rhinos think highly of him, and like to tap our toes along with his work. Makes Us feel cheery.